Trellis Desk is a powerful and robust help desk solution for your business. 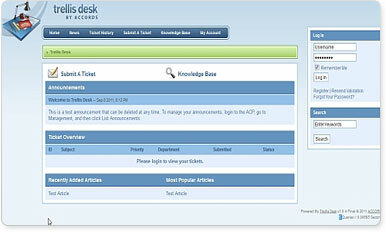 Improve your company's service by allowing your customers to quickly and easily submit support tickets to your team. Trellis Desk sports a range of advanced features that enable your business to handle customer support more efficiently. Trellis Desk is released under the End User License Agreement.